With just a few mouse clicks, Mattermark will speed up your organization’s deal sourcing process by updating accounts or leads in Salesforce with funding amounts, company stage, employee count, and other valuable data on over 1 million high-growth companies. Start off by signing into your Salesforce account, then visit the Salesforce settings page in Mattermark via the dropdown menu which populates after clicking on the avatar in the right-hand corner of our app. 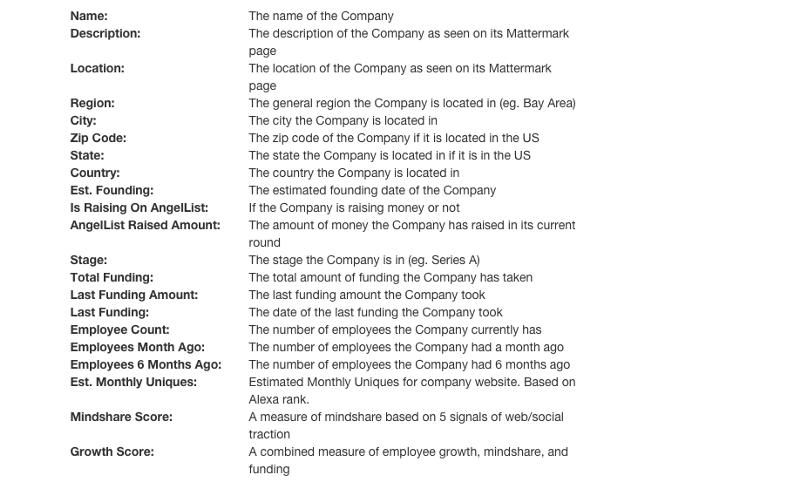 You can also integrate Salesforce from any company page in Mattermark. After clicking this, Salesforce will ask you to confirm. Allowing Mattermark to sync to your Salesforce accounts creates a one-way stream: We only provide — and never take — account data. Click “Allow” to sync. 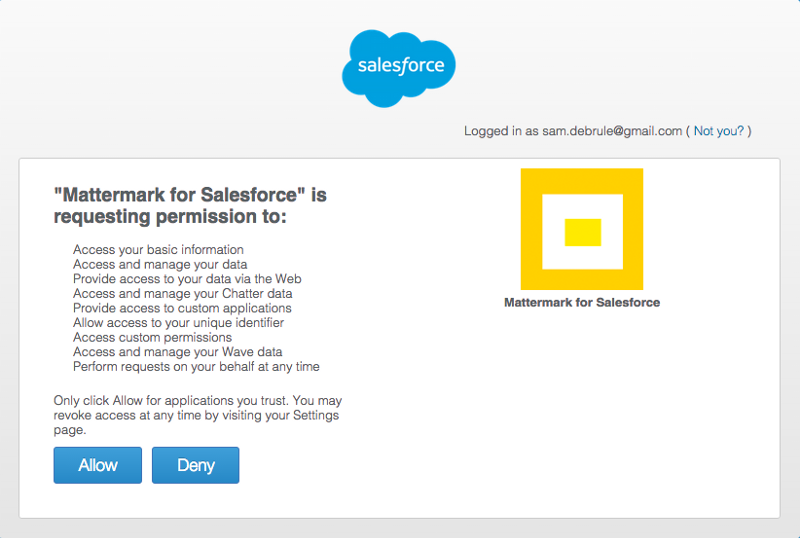 You’ll be taken to a confirmation page which says, “Salesforce successfully added to your Mattermark account.” Continuing from this page will bring up Mattermark’s Salesforce settings page, where you will be asked to map Mattermark’s data fields to Salesforce’s data fields. You may edit your choices on the settings page whenever you need. 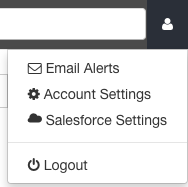 To access the Salesforce settings page in Mattermark, click on the user avatar in the right-hand corner. 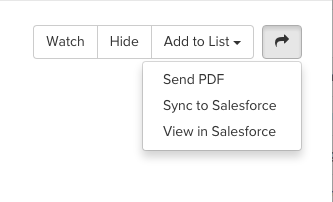 All Team plans offer the option to bulk sync Mattermark’s data with your Salesforce accounts and/or leads. To enable this feature, you must contact your Mattermark account manager. We’ll take care of the rest: As long as we can match website information in your contacts with website information in our database, we will continually and automatically update all data you’ve mapped between Mattermark and Salesforce. Have more questions about our Salesforce integration? We’re happy to walk you through it today.